Are you looking for a quick and easy to edit method to speed up your web design process? Well, you have come to right place. We have collected 50 fantastic pre-built responsive HTML5 templates that with just a little bit of creative tweaking will have your web design project live in no time. And the best thing of all is all of the website templates are all completely FREE! A readymade template is the perfect option for you to build a powerful website for your business. There are numerous professionally designed templates available, but fairly often they require a high degree of customization. Eventually, you find yourself with lines of code to change to get the required result. It’s great if you know the basics of HTML and CSS, but what’s the option for those users who don’t know a thing about coding? 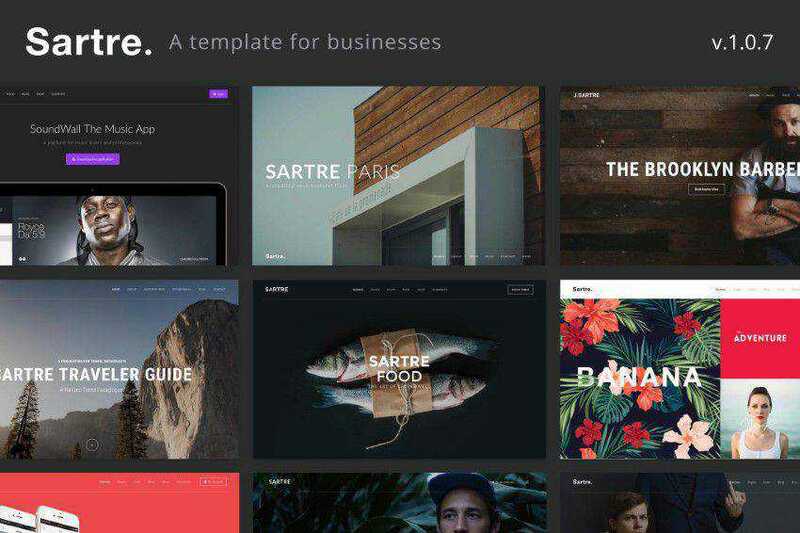 If you’re looking for free Bootstrap templates and UI kits, check out this post. Alpha is a professionally designed web template that features a simple design with a clean layout. 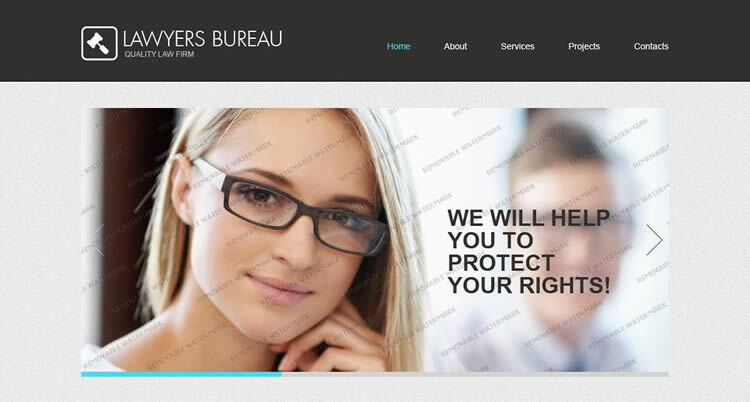 It could be a great fit for any business website. The free HTML5 Global web template can be used as a one-page portfolio site or be easily edited to work as a creative agency website. Photon is a free one-page HTML5 template that supports images with parallax effect and buttons with some fantastic hover effects. Choose this template to give your online resume a striking look. A responsive landing page template built with CSS Flexbox. Built for professional photographers, Apollo is a beautiful and free one-page web template for showcasing your shots. If you need an up-to-date website with advanced functionality, the Landed template would be the perfect choice for you. It features a full-screen hero image at the top of the homepage, and comes with support for lazy-loading images, parallax effect layouts, and much more. The Colossus free website template offers a clean and responsive layout that allows you to engage more visitors as it automatically adjusts your pages to any screen resolution, whether on desktop or mobile. This is a free responsive HTML5 template specifically designed for cafe and restaurant websites. It is preloaded with an assortment of useful features, like a burger menu, a full-screen slider, lazy-loading, parallax effects, and much more. This one-page template could be the perfect fit for your online CV or portfolio. 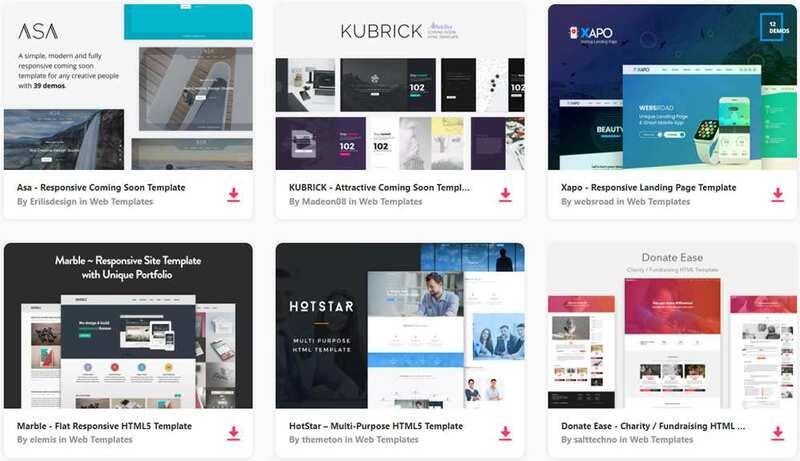 It combines a lovely design with great functionality, and features a full-screen slider with fixed mega-menu, image gallery with lightbox, and much more. The Viral free HTML5 template features a clean and minimal layout with a full-width image hero section in the header, mega-menu and a fanatstic selection of buttons with hover effects. 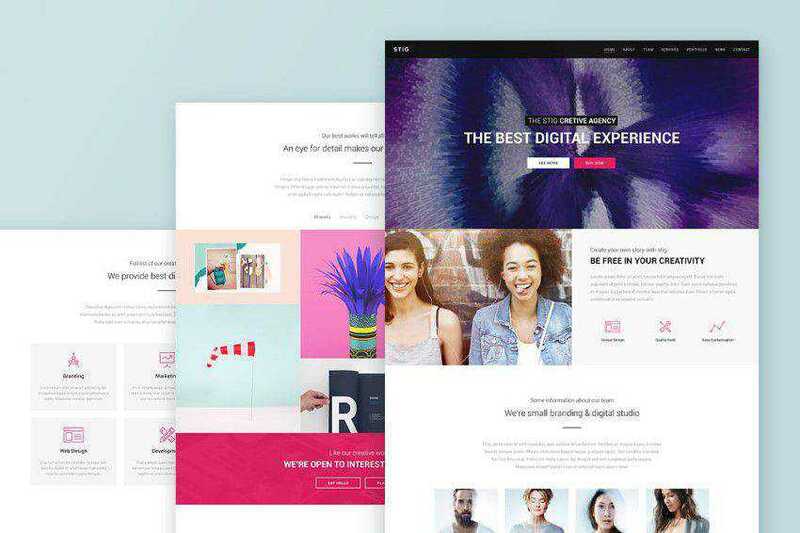 This free creative HTML5 template will give your design agency a brand new look. It is built in accordance with the latest web design standards and features a large hero image area, clean layout, parallax images, full-width Google Maps, and more. Need a powerful template for a blog? Ion would be a great option for you. It offers a clean and minimal design, full-width hero image at the top of the homepage and a fixed mega-menu. 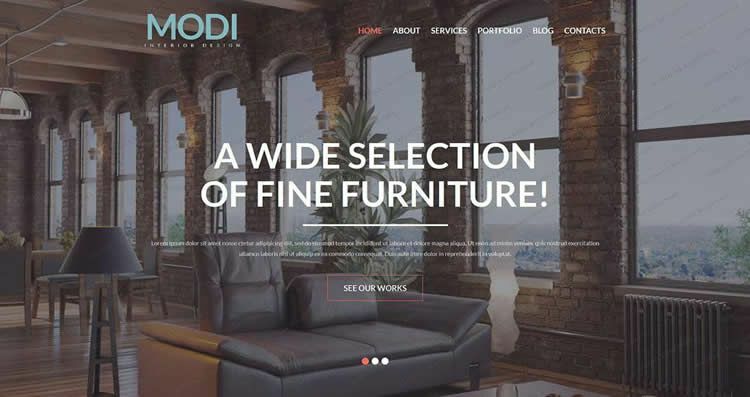 Modi is a professionally designed HTML5 template with a number of cool effects that gives it a touch of personality. It features a full-screen slider, fixed mega-menu, images with hover and parallax effects, animated backgrounds, and more. The free web template Abele features a responsive design, mega-menu, large hero area, etc. It could be a great fit for any online news or educational blog. Use the free Transit website template to give your site a brand new look and style, along with unmatched functionality. 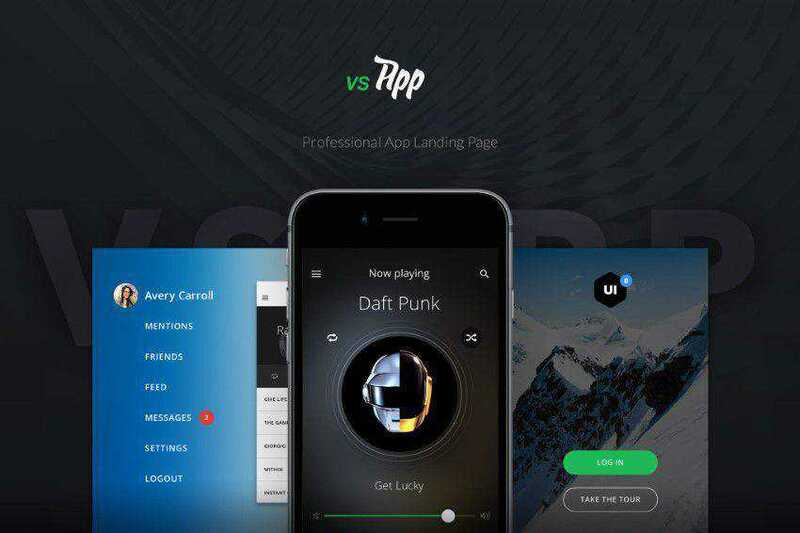 Volton is a one-page portfolio website could be good fit if you are a freelance designer or copywriter. Thanks to the vertical menu on the left sidebar, it ensures a user-friendly interface and advanced navigation. 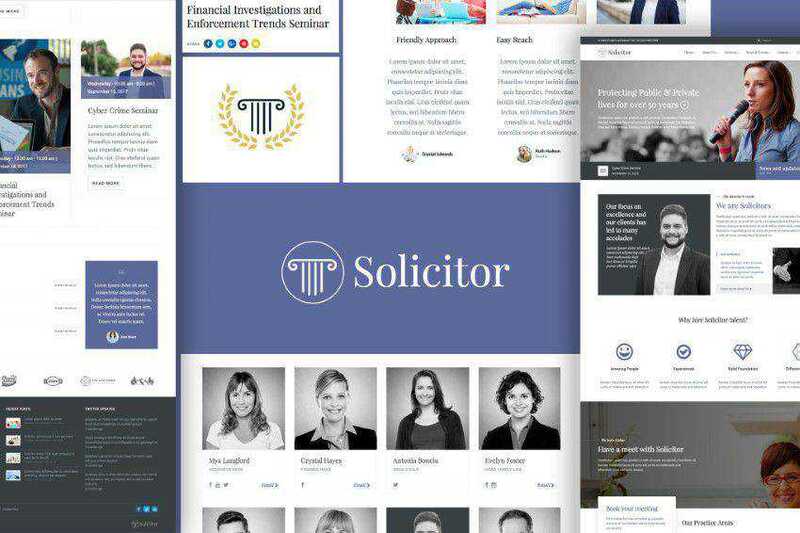 Build a powerful corporate website with this free professionally designed web template that features a full-width slider, fixed mega-menu, parallax effects and, hover and lazy load effects. Built in a modern style, Howdy is a minimally designed resume-style web template that would be perfect for creative designers or photographers. 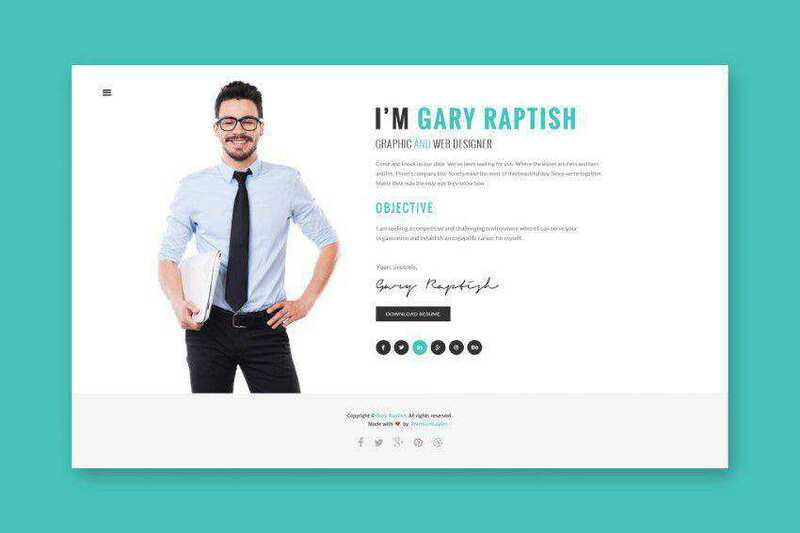 This template could be a great option for those who need a powerful and stylish online portfolio that’s both modern and classy. This free HTML5 template is specifically designed for layers, so it features a conservative look with a clean and minimal layout. Thanks to a fully responsive design the web template will automatically adjust to any screen resolution. Highlights is a one-page website template specially designed for online CVs and portfolios. It offers a full-screen slider and responsive design that makes the website perform equally well on screens and devices of different sizes. Linear is a great option if you need both a conservative and modern look. It supports images with parallax effect and a clean layout. This free HTML5 template has been designed in a metro style. Featured projects are presented with the help of circular images that interact with users on hovering. Pichichi is a responsive portfolio template. My Kingdom is a flat corporate responsive template. Harbour is a flat portfolio free website template. Treviso is a clean portfolio template. The download also includes the PSD files. Overflow is a single-page multi-purpose template. Start is a free multi-purpose single-page template that has been built with Bootstrap 3. Big Picture is a free single-page portfolio web template. Picku is a free minimal website template for photographers and creatives. 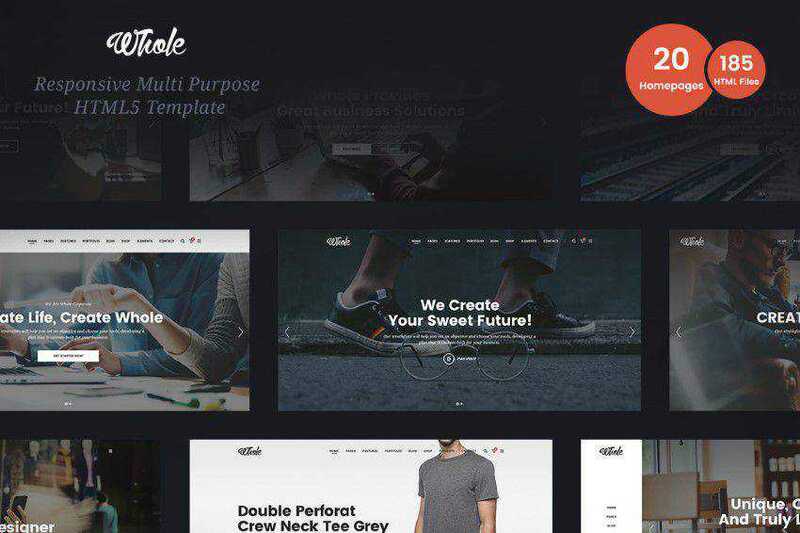 Prologue is a modern multi-purpose left-sided sidebar template. Caprice is a clean business web template. 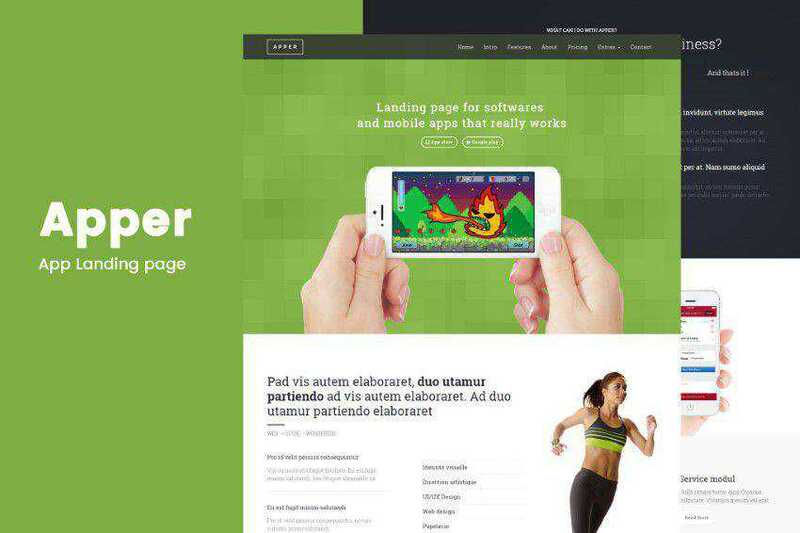 The Landing Page Template has been built with Bootstrap. Mamba is a flat, single-page template that has been built with Bootstrap. Landy is a flexible single-page template. Brushed is one-page responsive HTML template based on the Bootstrap Framework. It has been optimized for Retina Displays. Escape Velocity is a free responsive HTML5 site template designed in a flat style. Serendipity is a free and responsive single column blog template. Varna is a free responsive and feature-rich personal portfolio template that has been designed in a flat and minimalist style. Century is a responsive HTML5 template with working portfolio sorting and audio player. Responsive Wedding is a free, feature-rich HTML5 responsive template that uses jQuery Waypoints and ScrollTo for a fluent single-page layout. Go ahead and find a suitable template for your website and give it a brand new look and enhanced functionality. With any of these HTML5 templates you will surely cultivate a growing audience and increase your conversion rate.